This is fun to see. I am currently trying to learn how to ink my own work better. I can take a nice drawing and totally screw it up when I ink. So, I bought the DC comic guide to inking and a few other inking books and have been trying to learn how to properly do it. Thanks for the post. It is good to see. When you say you ink in photoshop, how do you go about that? Cactus- Inking in Photoshop's very easy if you have a graphic tablet. Put your pencils on a layer and decraese the opacity until you can just see it. Then on a new layer use the pencil tool or the brush tool (using the hard round brush) and ink over the top of your pencils. Once finished delete the pencil layer. 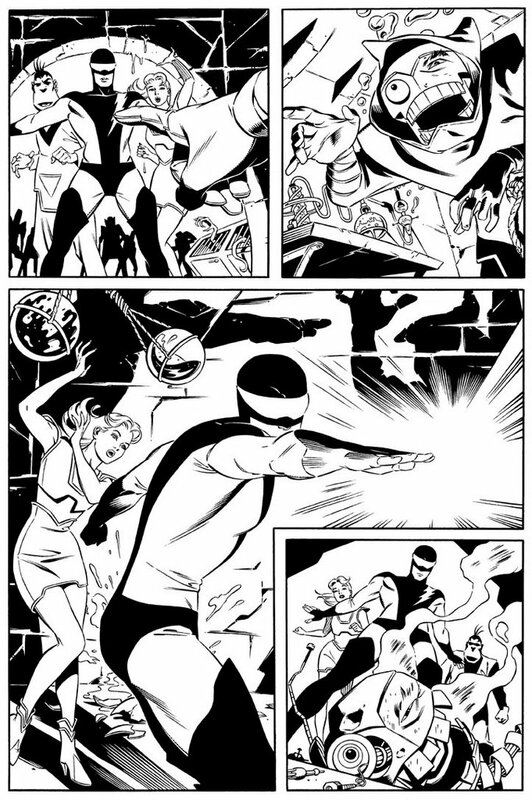 Tonia- Yep, a copy of the Steve Rude Sketchbook sits proudly on my shelf. 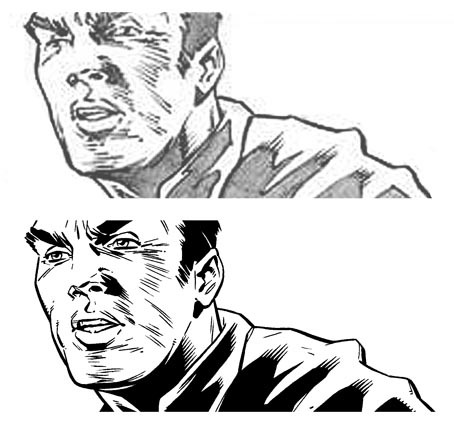 I think my inking influences are mostly american- Terry Austin, Scott Williams, Mark Farmer. Although I always loved Jamie Hewlett's inking on Tank Girl, oh and who can forget Brian Bolland. Dillon- Spare time? What's that again? 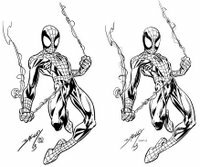 Chis- very cool of you to post this- I have been taking a stabat comic book inking myself lately- I posted a page on my blog, if you get a minute, I would love to have you critique what I did. I am hoping to get a few more samples posted soon. Yours look excellent, tight and clean as always. Great work man! Patrick- Thanks Patrick. I'll check out your inks and post a comment. 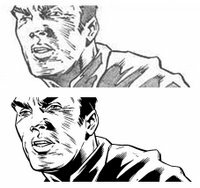 I liked the inking on the left, probably the digital/photoshop one? Very confident line. 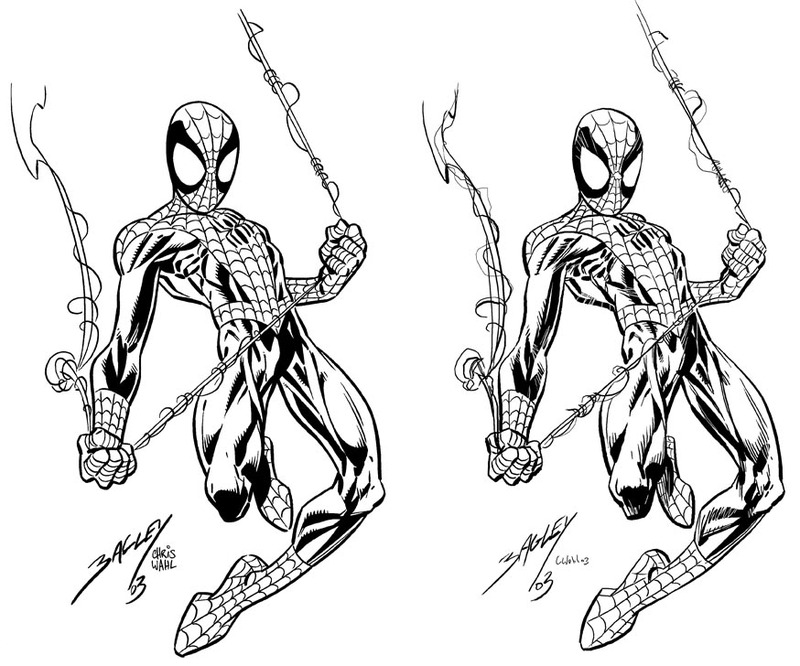 The Spidey on the left is actually the hand inked version. I'm more confident inking by hand than with a tablet.